The wine glass has a long history, stretching back through centuries untold. Thirty years ago, Claus Riedel revolutionised the wine glass, with the realisation that the shape of a wine glass has a profound effect on the way you experience the wine inside. The aroma, the balance, the taste…every aspect of your wine is enhanced when the right glass is used. This simple idea completely changed the glassware industry forever. A unique glass brings out the best in every wine – that’s what sets Riedel glassware apart. New arrivals to the world of wine-drinking, however, may not yet be able to pair their wine with their glass, let alone distinguish the individual flavours and aromas required for such a paring. Riedel welcomes these individuals to try new things with Degustazione: a collection for young entertainers that is both wine-friendly and great value for money. Designed to accentuate all wines and not just specific varietals, Degustazione is the perfect starter glassware for those just getting their palate whet for the first time. Suited to all varieties of champagne and sparkling wine. 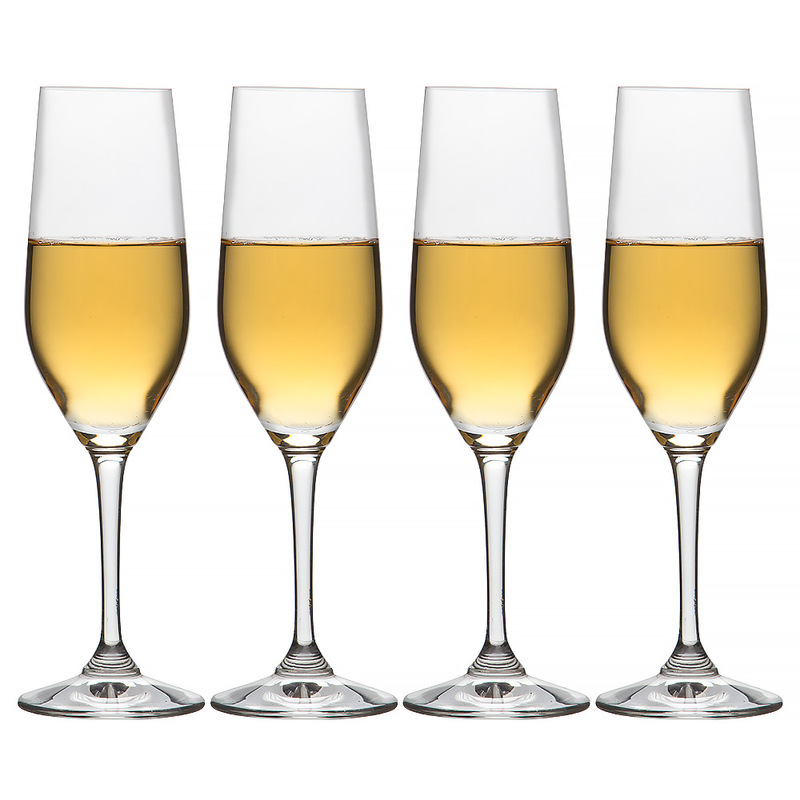 Presented as a set of four in a Riedel gift box. All Riedel glassware is dishwasher safe, and has been tested by Riedel to ensure a longer lifespan when washed in this manner. If you do need to wash your Riedel glassware by hand, wash the glass under warm water with detergent and rinse the glass very carefully. To avoid any staining of your Riedel glasses, you should wash them using only soft water – that is, water with a low mineral content. If stains emerge, you can use white vinegar to remove them. 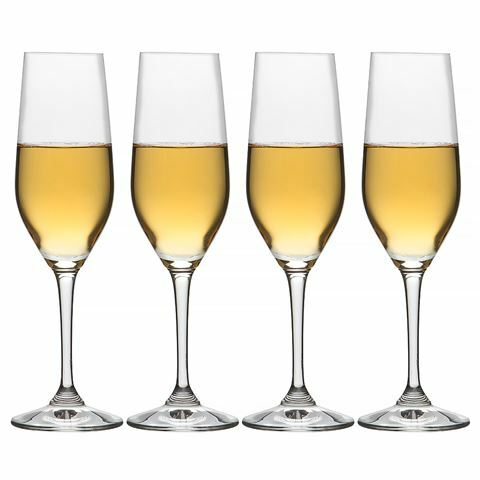 Avoid scratches to your glassware by not allowing your Riedel glasses to come in contact with any other glasses or metal. Polish your glasses using two towels, and avoid holding the glass by the base – this could case the stem to snap. Keep your cleaning towels clean as well, in order to avoid rubbing any grease on to your Riedel glassware. Wash your cleaning towels at boiling temperature, without linen or fabric softener. Store your glasses away from other items with a strong odour, as this can taint the glass and in turn your wine.